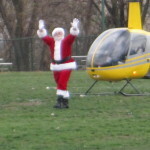 Santa for hire in the greater Chicago area. Bring Christmas to life with a visit from Santa himself and Mrs. Claus. Fourth of July parade in Hinsdale. Robert & Carol have a total of 63 years in the field of teaching, coaching, and administration. 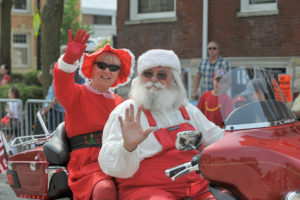 We have been Santa and Mrs. Claus for over 30 years. 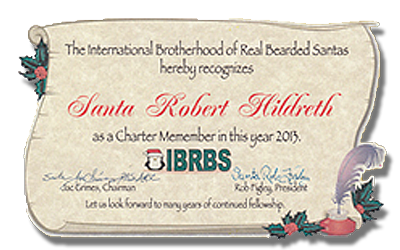 We will foster the spirit of Christmas and the love of children by providing quality Santa services to a wide range of community service organizations. The spirit of Christmas is within us all throughout the year. It especially shines forth at Christmas time. The anticipation of the holidays ahead builds as we hear wishes of our loved ones. We can put a sparkle in their eyes and the spirit of Christmas in their hearts as they remember the joy of being with family. Mrs. Claus and I would like to enhance the Spirit of Christmas in your home, business or community. So no matter where or when you want to add a little spirit to your festivities, give us a jingle.